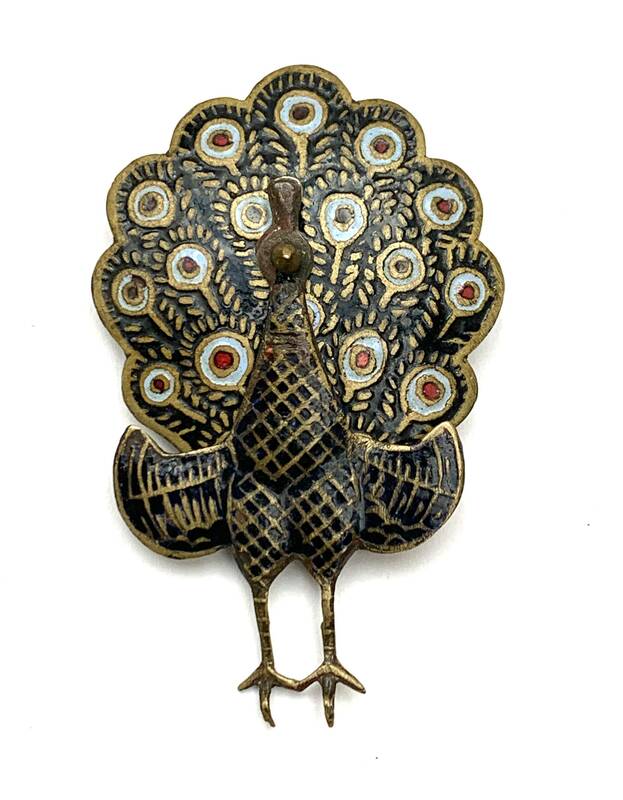 This is a brass and enamel peacock brooch marked made in Thailand. It consist of black white and red enameling on a brass metal. the petals are attached by a hinge. This is an articulate mechanical piece of jewelry where the tail petal is hinged so it is movable. the height is 2 inches x 1 1/ inch.